Even as automotive safety technology advances, riding in a car is still a risky business. You might be (or think you are) the world’s most perfect driver, but you can’t guarantee that the guy down the street isn’t texting his wife while trying to turn right on red, potentially T-boning you in the middle of your commute. If you have kids, you’re probably even more concerned about driving safety, even if your little darling is currently throwing her shoes at you and yelling that she wants ice cream, NOW (yes, this is a thing that has happened to me). When it comes to kids, though, there are so many car seat options out there that it can get overwhelming. You might have one mommy friend who switched her toddler to front-facing at 18 months, while another waited until 4 years. Rather than listening to people on Facebook about the safest seats for your child, follow the just-released guidelines from the American Academy of Pediatrics (AAP). The new guidelines are, overall, fairly similar to the old ones, but the language has changed to be clearer to parents who might have been confused in the past. 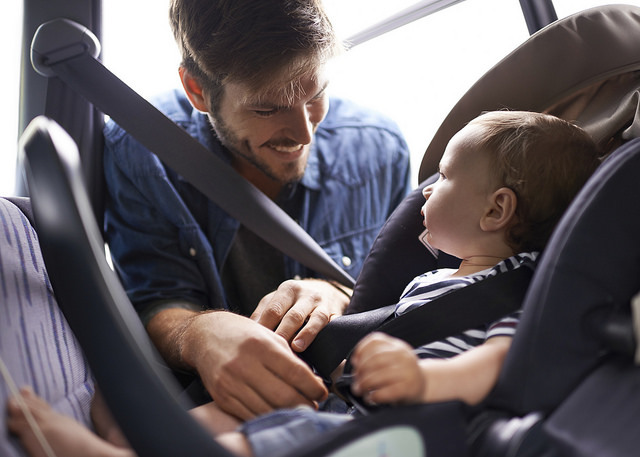 Infants and toddlers should remain in a rear-facing infant or convertible seat until they are at least 2 years old, or until they outgrow the maximum height and weight restrictions for their seat. 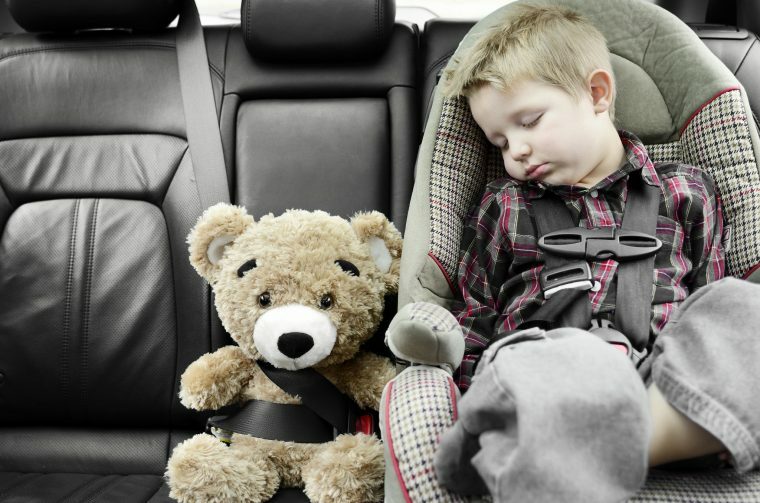 Toddlers and preschoolers should be placed in a front-facing seat with a harness, or a convertible seat facing forward, until they reach the maximum height and weight restrictions specified by the car seat manufacturer. 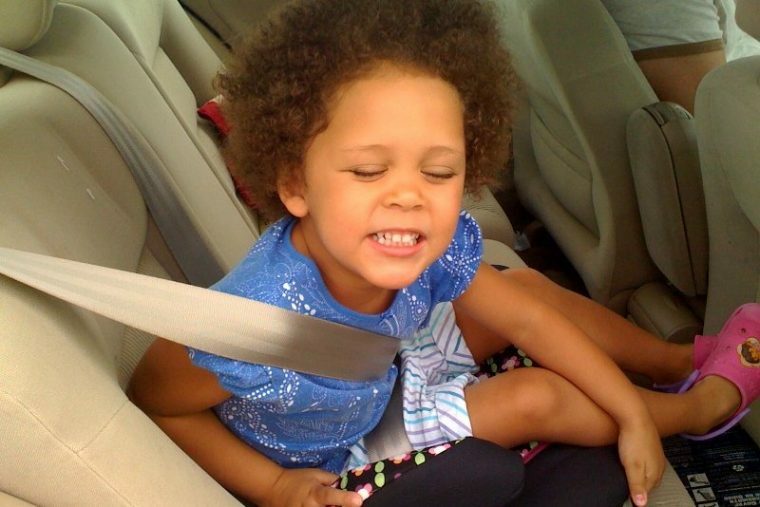 School-aged children should use belt-positioning booster seats until they are big enough for the seat belt to sit them without a booster (typically 4 feet 9 inches). Older children should use lap and shoulder seat belts and should remain in the back seat until 13 years of age. Rather than attaching age ranges to the new guidelines, the AAP has chosen to discuss height and weight restrictions for various car seats. Depending on the seat you purchase, this can vary so it’s important to adhere to the manufacturer’s recommendations while sticking to the AAP’s guidelines. When I was looking for a convertible seat for my now 2-year-old, I wanted a seat that would allow her to remain rear-facing for as long as possible. The seat I chose will allow her to be rear-facing until she is 45 pounds (she is 32 pounds now at 28 months, so we have a while to go). Now, thanks to the AAP’s updated guidelines, parents will have a clearer idea of how long their children should be in each type of car seat, making their experiences on the road that much safer. Catherine Hiles is a native Brit currently based in Dayton, Ohio. Don’t ask how that happened. Cat has written about a variety of subjects, from dog training to fashion, and counts running and cooking among her hobbies. 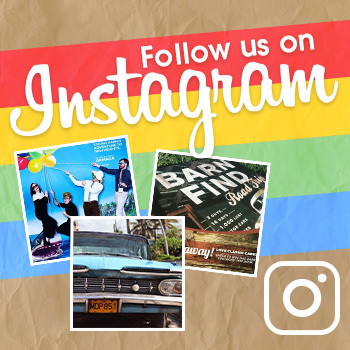 Cat lives with her husband, Ben; their daughter, Rose; and their collection of animals, including an energetic mutt, an elderly basset hound, and a jerk cat. See more articles by Cat.